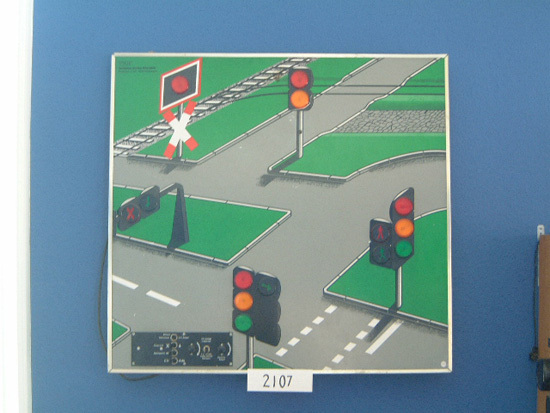 A wall-mounted school model of traffic lights powered by 220 volts. 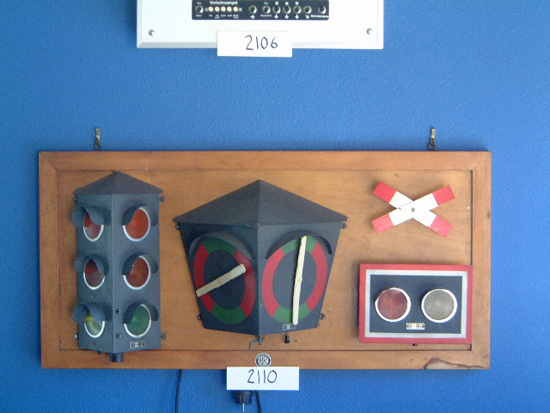 A 1950s wall-mounted electric school model that shows operation of brake lights, turn signals and running lights for cars, trucks and motorcycles. 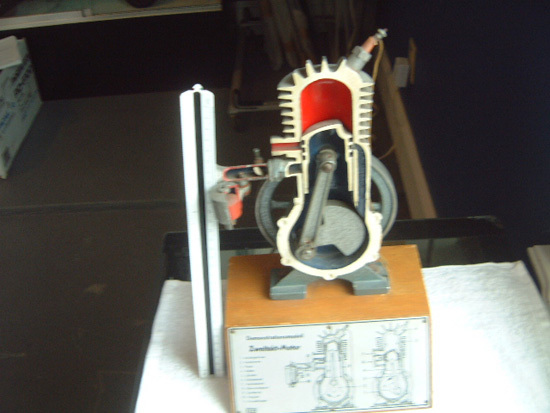 Another variation of a single cylinder cutaway motor. 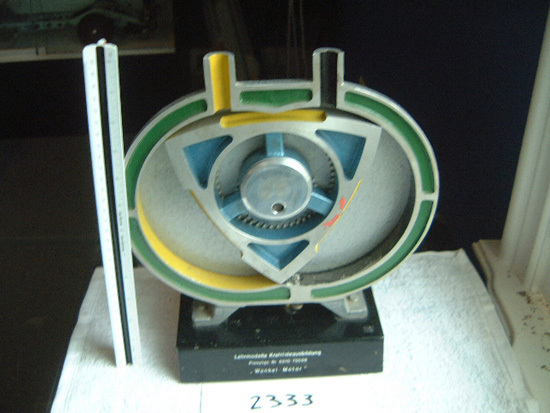 A single-cylinder overhead cam cutaway motor that demonstrates valves, intake, exhaust, carboration, flywheel and piston. 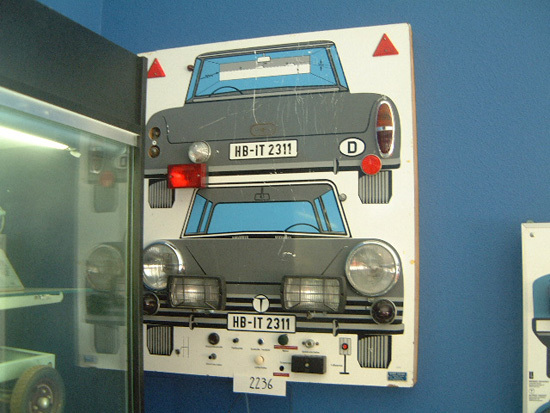 A wall-mounted driving school model of how all lights work on a car. 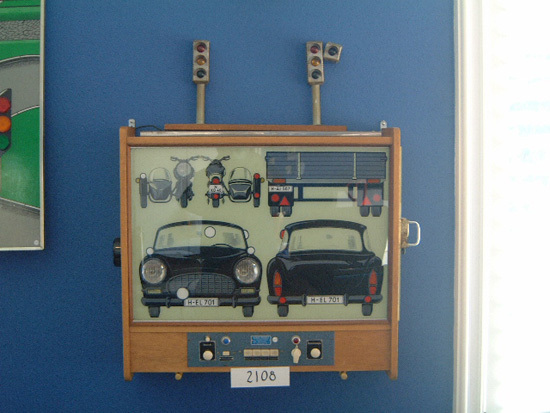 A 1940s German driving school cutaway single-cylinder motor, one of many examples in the museum. 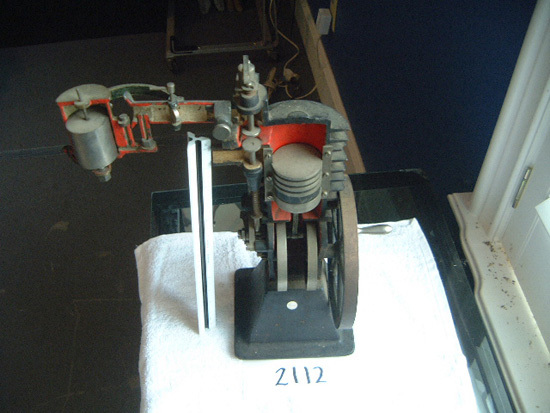 A fully functioning 1928 model of an engine block with pistons, showing how timing works. 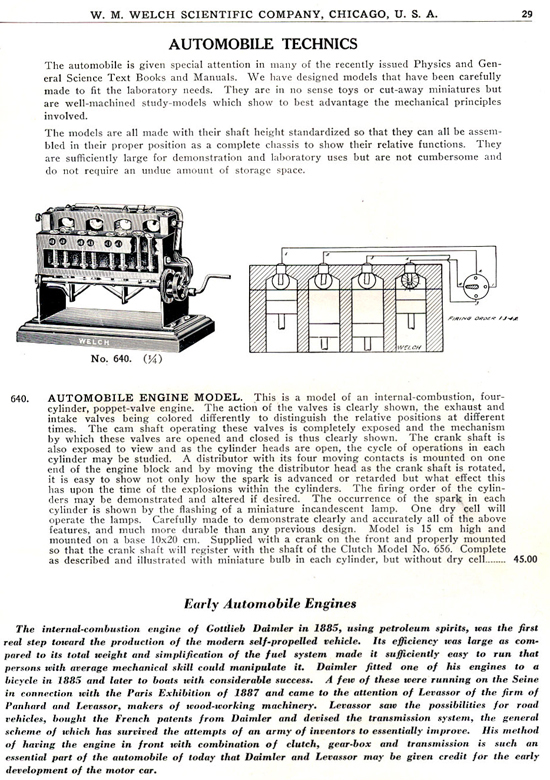 It demonstrates how both valves exhaust and intake as well as spark plugs work. 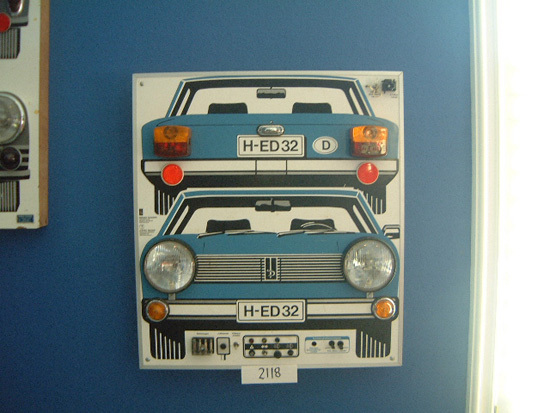 It has lights to show spark. 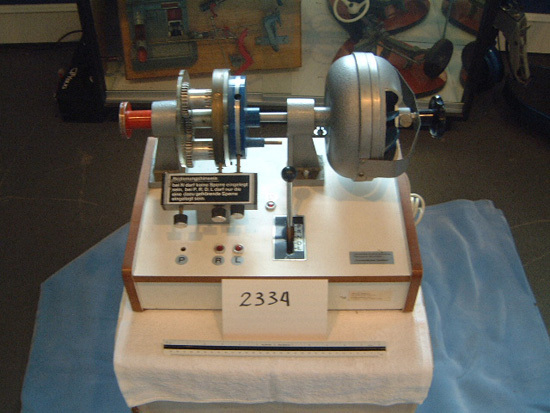 Another hand crank 1950s German model of the Wankel (Rotary) with a few moving parts that can run comparatively quietly and smoothly on different grades of fuel. 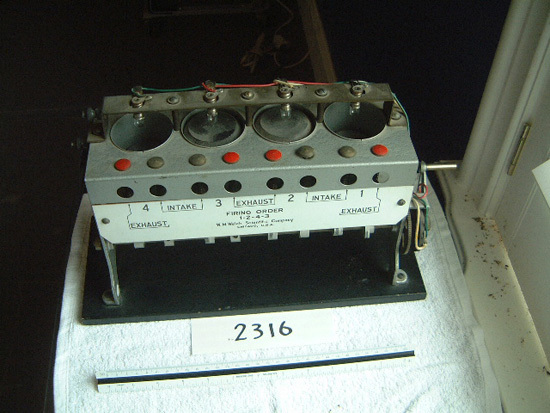 The engine is named after German engineer Felix Wankel for his contribution to the engine’s development in the 1950s. 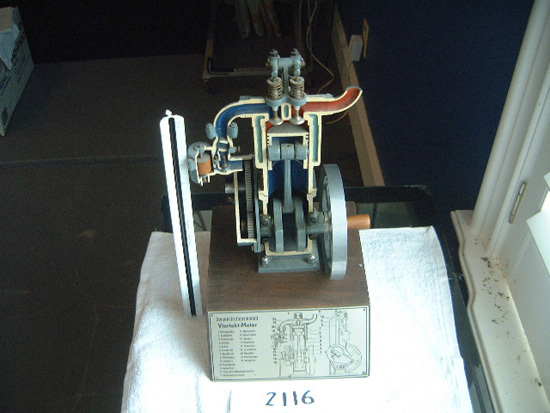 A very rare model of a four-speed automatic transmission powered by 220 volts. 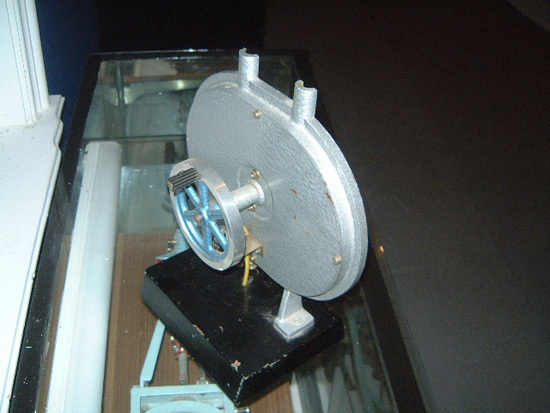 It demonstrates shifting gears with a console mounted shifter..